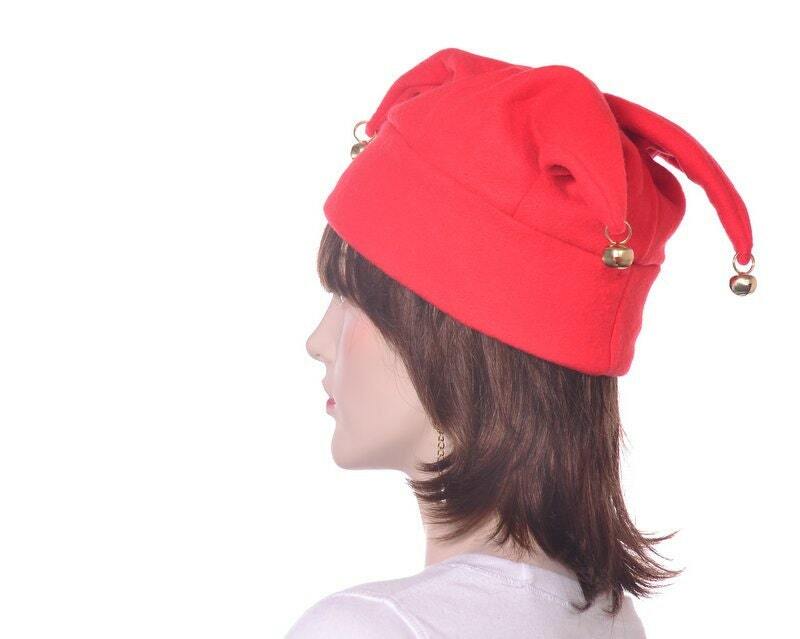 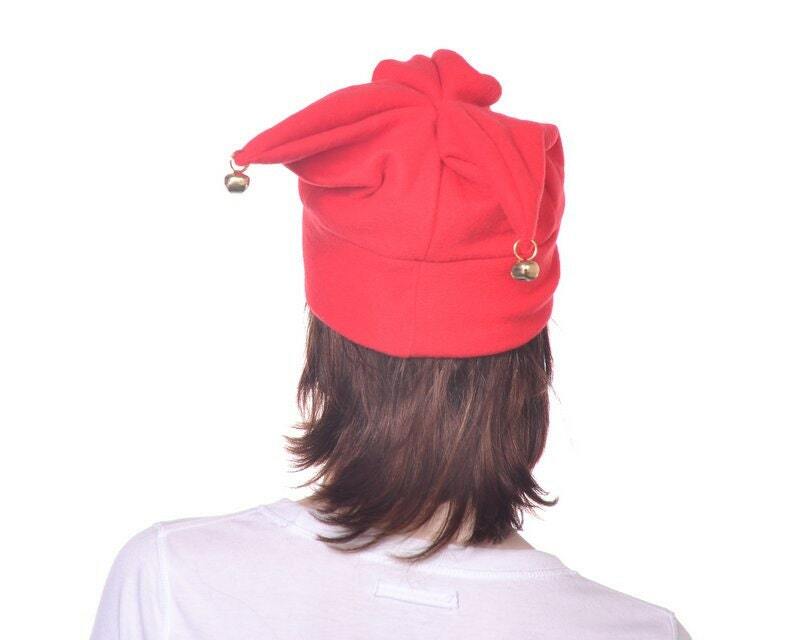 Three point jester hat in an red fleece. 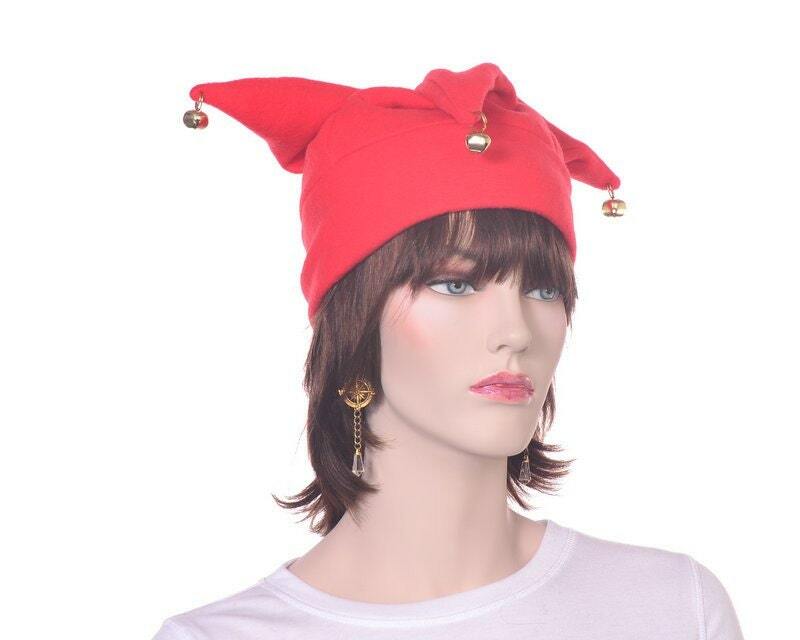 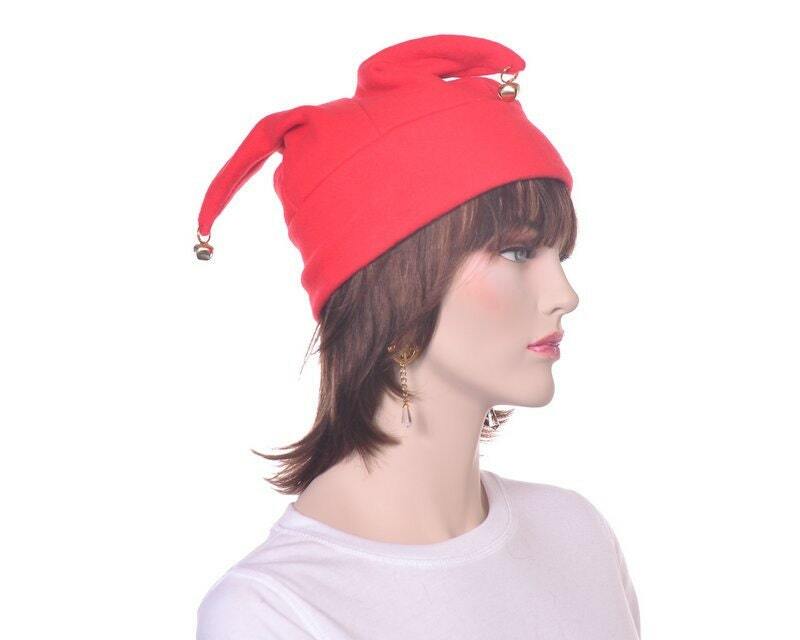 Each of the three points on this jester hat are finished with a small gold colored bell (small bells do not ring loudly). 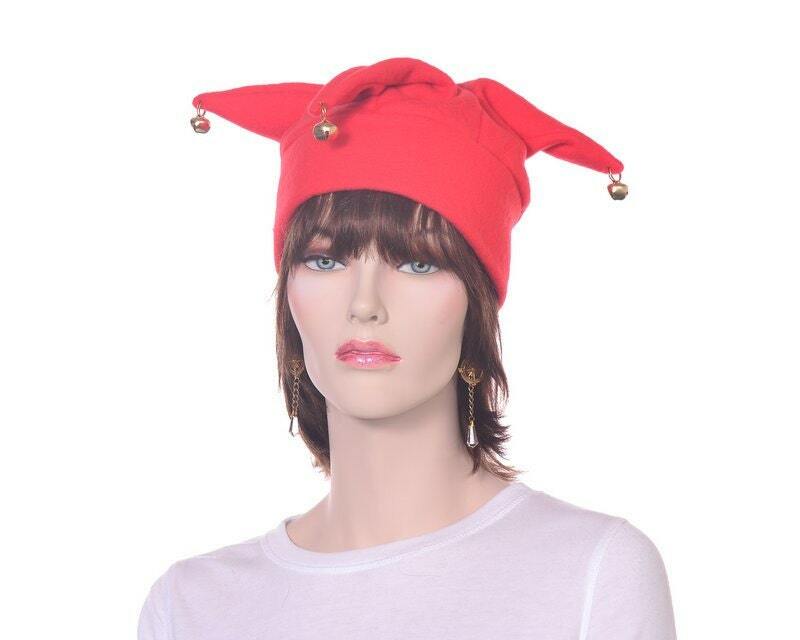 This is in a jokers style with one point facing forward and two points facing the rear.